Bali Sama-Sama Restaurant is built alongside the By Pass Ngurah Rai, Nusa Dua. 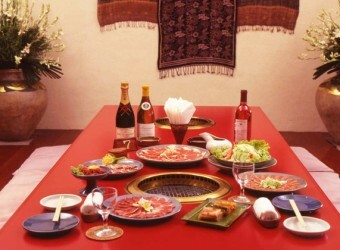 It is a very famous yakiniku restaurant in Bali. The restaurant always provides fresh and delicious meat. Unlimited set is recommended for people who want to eat much. The restaurant has about 120 seats including floor seat dining room, Japanese-style seats table seating and private room.